Update 10:35 a.m. Wednesday, June 6: Although ballots are still being counted in all nine Bay Area counties, Regional Measure 3 appears to have won with about 54 percent of voters supporting the increase in bridge tolls. See: It's Not Quite Official, But Bridge Toll Hike Appears to Have Passed. uestions and answers about Regional Measure 3, the transportation measure that voters in all nine Bay Area counties are voting on for the June 5 primary. 2. When would tolls be raised? How much? Tolls would increase a total of $3 in three stages: $1 on Jan.1, 2019; $1 on Jan. 1, 2022; $1 on Jan. 1, 2025. The toll increases would be added to existing tolls, which are currently $5 except on the Bay Bridge, where tolls are $6 for peak hours (weekdays from 6 a.m.-10 a.m. and 3 p.m.-7 p.m.), $5 on weekends and $4 at all other hours. That means that in 2025, tolls would be set at $8 on all the state bridges except the Bay Bridge, where the toll would be between $7 and $9. The measure also includes a provision that would allow the Bay Area Toll Authority, the agency that administers bridge revenue, to adjust future tolls for inflation after the year 2025. 3. Would carpoolers/legal HOV users continue to get a break on tolls? How about people who use two bridges? Yes and yes. Those eligible to legally use HOV or "carpool" lanes -- cars carrying two or three people, depending on the corridor, and those with white or green zero-emission vehicle stickers -- would continue to get a 50 percent discount on the increased tolls. People who must pay two tolls a day -- for instance, someone commuting westbound across the Bay Bridge in the morning and east/northbound through the Carquinez or Benicia bridges in the evening -- would get a 50 percent discount on the second toll. 4. How much would the higher tolls cost the "average" bridge commuter? Most estimates suggest commuters would pay an extra $750 a year once the full increase is implemented in 2025. Parsing the arithmetic a little, that estimate assumes a commuter paying the added $3 toll 250 days of the year (every weekday for 50 weeks, say). 5. How much money would Measure 3 raise and how would it be spent? The toll increases would raise an estimated $4.45 billion over 25 years. That money would be used to pay for 35 highway and transit projects throughout the nine counties and provide incremental operating support for some Bay Area transit agencies. The complete list of projects is shown in the table below. The Metropolitan Transportation Commission -- which, as one of the architects of the measure, is a major supporter -- produced this useful and not overtly political map: Regional Measure 3 Projects. 6. What’s the split between highway and transit funding in the measure? $2.765 billion transit; $1.475 billion highways. In addition, the measure provides Bay Area transit agencies with up to $60 million in annual operating support -- money to pay for items like salaries and fuel, for instance. The biggest recipient of that money would be the San Francisco Bay Ferry system, which would get as much as $35 million a year. Other beneficiaries would include the new Transbay Transit Center and regional express bus services. 7. Must all of the nine counties vote "yes" for Regional Measure 3 to pass? What vote percentage does the measure need? No. Regional Measure 3 will pass if it secures a simple majority (50 percent plus one vote) in the aggregate vote of the nine Bay Area counties. 8. Is Regional Measure 3 connected to the state’s higher gasoline tax? No. The increased fuel taxes and vehicle fees enacted in 2017 go to the state and are reserved for other infrastructure and transportation projects. 9. What assurance do voters have that money from the increased tolls will be spent as the measure specifies? The measure includes two provisions for independent oversight of the new toll revenue. First, the measure requires creation of an 18-member oversight board, with two members appointed by each Board of Supervisors in the nine-county region. Gov. Jerry Brown also signed a bill last week designed to prevent conflicts of interest by barring current and former members and staff of the Metropolitan Transportation Commission and Bay Area Toll Authority from serving on the oversight panel. The new law would also block those who have contracted with MTC and BATA from serving on the oversight board within a year of having worked for the agencies. Second, the measure creates a new position, BART inspector general, to "ensure that the district makes effective use of bridge toll revenue and other revenue and operates efficiently, effectively, and in compliance with applicable federal and state laws." 10. Who supports Regional Measure 3, and why? The measure enjoys broad support from some of the region's most influential business and planning groups; from hundreds of state and local elected officials; from labor groups; from transit agencies; from transportation advocates, including cycling and pedestrian organizations; and environmentalists. 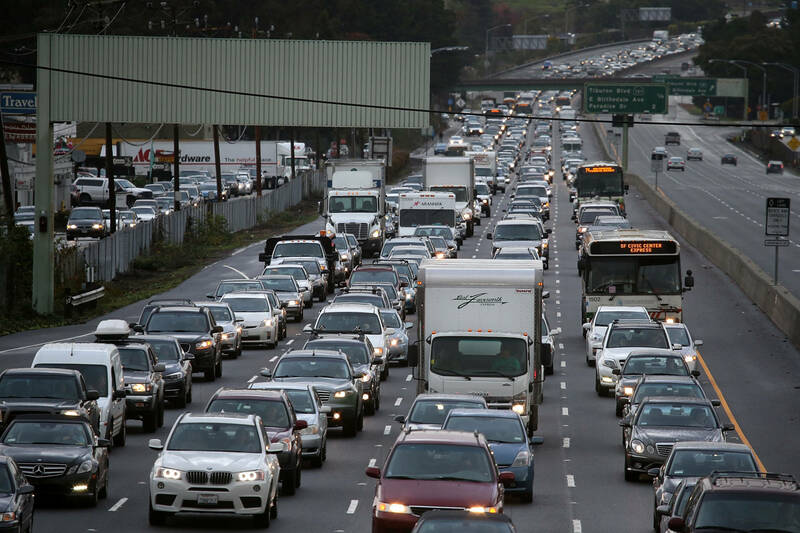 The principal reason: They say the Bay Area's regional congestion crisis requires urgent ongoing action, and the projects in Regional Measure 3 are a crucial part of the response. They point to the transit emphasis in the project list -- about two-thirds of the dollars raised would go to mass transportation -- and a series of major interchange projects that, along with new HOV and express lanes, will significantly reduce congestion. In support, they emphasize the results of Regional Measure 1 (1988) and Regional Measure 2 (2004). The first measure raised tolls for bridge improvements and paid for the new Benicia bridge and new suspension span for the westbound Carquinez Strait crossing between Vallejo and Crockett. The second measure raised tolls again and expanded the use of the resulting revenue to benefit highway projects like the fourth bore of the Caldecott Tunnel and several transit projects, including chipping in for BART's Warm Springs extension and Oakland Airport connector. 11. Who opposes Regional Measure 3, and why? A handful of local legislators -- most notably, Rep. Mark DeSaulnier, D-Concord, oppose the measure. So do taxpayer groups such as the Howard Jarvis Taxpayers Association and taxpayers groups in Alameda, Contra Costa and Solano counties and in Silicon Valley. Republican Party county committees throughout the Bay Area also urge a "no" vote on the measure. A Marin County transportation advocacy group, the Transportation Defense and Education Fund (TransDEF), is also opposed. Among the chief reasons cited for opposing the measure: Higher bridge tolls amount to a regressive tax that will hit lower- and middle-income workers, who are already struggling with skyrocketing housing costs. DeSaulnier also criticizes the Legislature's and Metropolitan Transportation Commission's process in developing its master project list and says that those who will pay the bulk of the new tolls -- commuters from Alameda and Contra Costa counties -- will see little congestion relief from them. Assemblymemeber Tim Grayson, also a Democrat from Concord, is among those who say the measure delivers a disproportionate share of benefits to South Bay communities that have comparatively few bridge commuters. TransDEF activist David Schonbrunn is a longtime critic of the MTC who says the agency has failed in its mission to reduce congestion; he advocates a publicly sponsored program to encourage widespread carpooling.